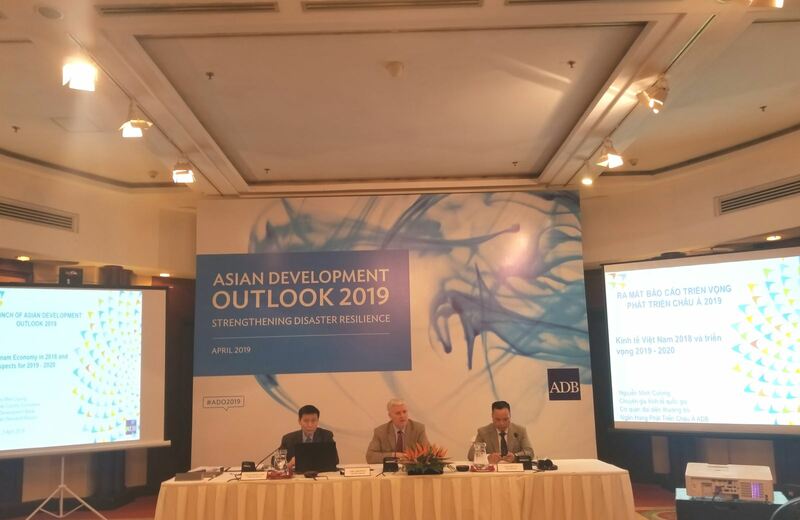 “The economic performance in Vietnam reached a sweet spot in 2018, driven by strong exports and domestic demand,” said Eric Sidwick, ADB country director for Vietnam, at the launch of the Asian Development Outlook (ADO) report on April 3. “Economic growth will likely hold up well in the near term, supported by export-oriented manufacturing, foreign direct investment, and sustained domestic demand. The growth momentum is expected to continue, thanks to ongoing reforms to improve the business environment and encourage private investment,” he added. According to the report, the growth momentum is expected to be facilitated by ongoing reforms to improve the business environment and encourage private investment. The ratification in 2018 of the Comprehensive and Progressive Agreement for Trans-Pacific Partnership and the anticipated ratification of the free trade agreement (FTA) with the European Union, and commitments under other ongoing FTAs should further boost reforms, and bode well for increased and diversified trade and investment opportunities. Additionally, inflation is expected to average 3.5% in 2019 and 3.8% in 2020, lower than the 4% target set by the National Assembly, as domestic demand is sustained, and as a result of anticipated increases in some administrative prices and minimum wages. Weaker global trade demand and the slowdown of advanced economies would narrow the current account surplus to 2.5% of GDP this year and 2.0% in 2020. The ADO highlighted the primary external risk to the economy is the faster-than-expected slowdown of the major economies, including the European Union, the US, and China, Vietnam’s main export partners. Although Vietnam may benefit from trade diversion and creation from prolonged China-US trade frictions, the benefits would not accrue immediately and they would be subject to a host of other factors, including the underlying productivity and competitiveness of Vietnam’s economy. Moreover, the report underlined that Vietnam’s participation in the global value chains has been largely driven by foreign-owned firms. Domestically-owned private firms in Vietnam are predominantly small and medium-sized enterprises (SMEs). Relatively few have effectively established linkages with the FDI sector and many suffer from limited access to finance, skill shortages, and limited capacity to purchase and adapt newer technologies and foster innovation.